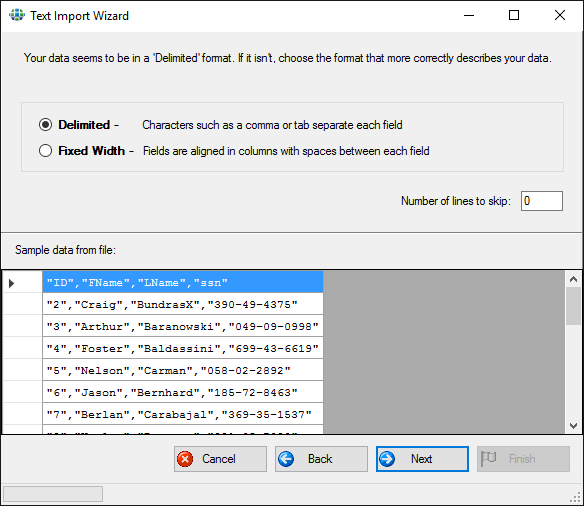 The following steps demonstrate how to import a CSV (comma delimited file) to any relational database management system (RDBMS). Connect to your desired database using WinSQL. 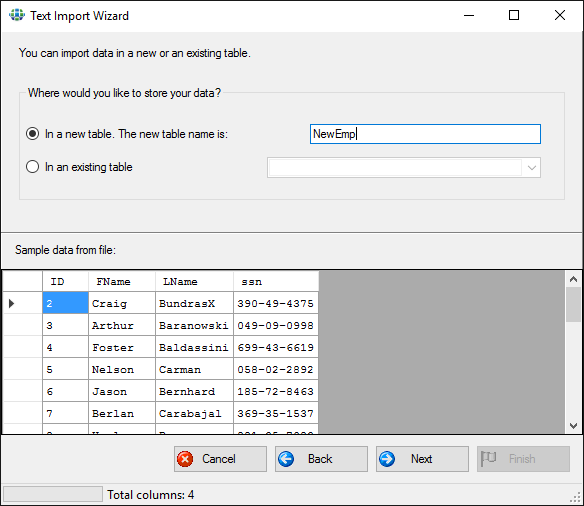 Using File Explorer navigate to your CSV file and drag it to WinSQL's catalog Window. Follow the instructions on the screen and select the Delimited option. 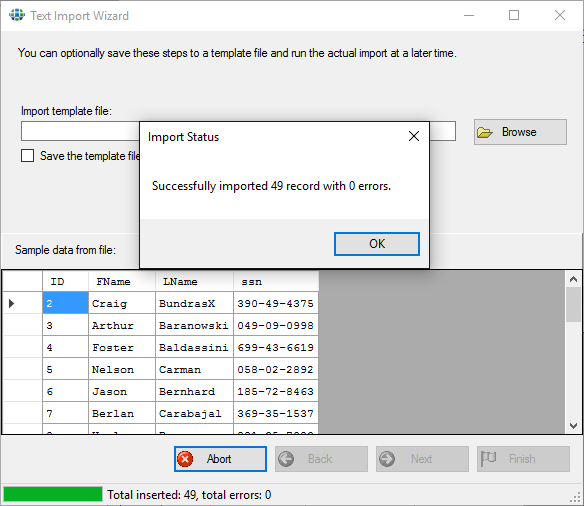 If a new table is selected, the following screen will display a suggested CREATE TABLE statement. 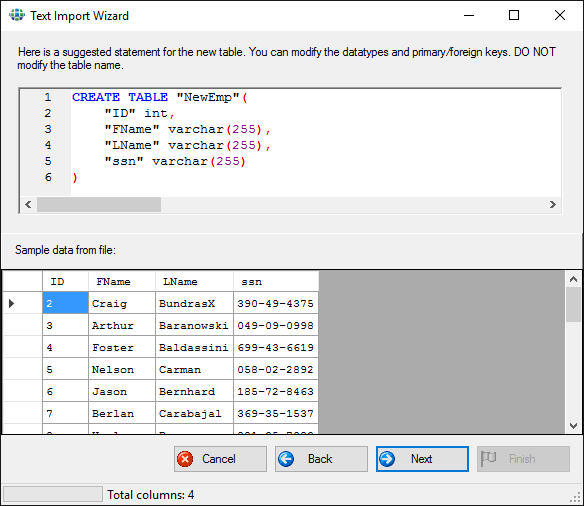 This statement can be modified to include primary/foreign keys or change the datatype. Finally, click Finish to complete to the process.